As the Area Vice President of Business Development you will serve as a key executive for the home care organization and serve as the leader with responsibility to develop sales people and implement and carry out the sales initiatives set forth by the company, throughout his/her established territory, and to support the day-to-day business development operations.. You will lead and assist the account executives, care coordinators and the rest of the business development team in establishing and developing new business contacts; maintaining current relationships; developing and implementing a sales and marketing plan. Work with all members of the medical community to promote home care and hospice services. Five (5) years sales experience. Two (2) years home health care sales leadership experience. Must have reliable transportation, current driver’s license, and required liability insurance and frequent and extensive travel. 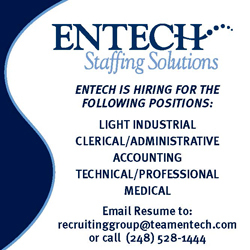 5 offices in Northern WV. 13 reps, all direct report (no sales managers). Likely travel outside the territory once a quarter (the rest will all be local).